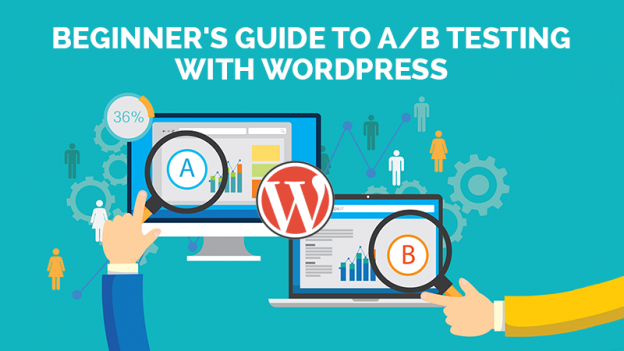 Beginner's Guide to A/B Testing with WordPress - Wordsuccor Ltd.
WordPress is a content management system CMS. This content management system is open-source and is available for free. This is designed based on the two popular languages PHP and MySQL. This is installed on a web server which is a part of an Internet hosting service or a network host. In that, the first one is like a service, for example, wordpress.com. On the other hand, the second phase is like a software package that runs on a computer that is WordPress.org. In this system, for single user testing and learning functions, a local computer is used. This contains two important features one is a plug-in architecture and the other is a template system. One of the interesting facts about WordPress is it is used by over 27.5% of top 10 million sites as today. This is the most famous website management system or blogging system which is in use on the web. Also, it supports more than 60 million sites. The template system of WordPress uses a template processor. The architecture is a front controller which routes all requests for non-static URLs to a PHP file. This file parses the URL and finds the target page. The installation files of WordPress have a size of about 20 MB. A/B testing is a method of figuring out the suitable online promotional and marketing strategies for the business.It is an efficient testing platform that tests everything from a WordPress Website in some additional time. This testing is normally used to test everything related to online. For example, one can use this testing for checking website copy, sales emails, search ads etc. The advantages provided by this A/B testing are sufficient for the users to counterbalance the extra time it takes. A well determined A/B testing can create a massive difference in the effectiveness of your marketing efforts. By searching through the most effective elements of a promotion, and integrating them, can clearly make your marketing efforts much more profitable and successful. This is an act of running a number of experiments simultaneously among two or more pages to know which performs the best. How one can plan for an A/B testing? 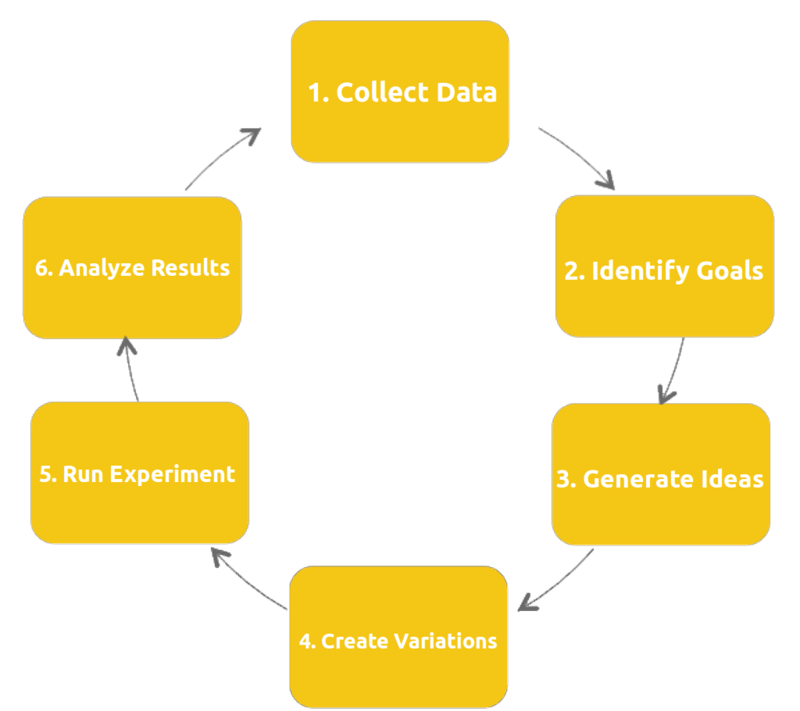 The initial step one must do while planning for an A/B testing is to decide what to test. That is you should decide what you want to test and what type of test you want to do. For example, whether an on-site test or an off-site test. If you select an on-site test, you must have to think of all the sales-related aspects of your site, and then figure out the elements which you want to test. On the other hand, if you choose an off-site test, you’re probably testing either an ad or a sales email. Testing ad copy helps you to know which ad is converting more visitors. This, in turn, helps you to concentrate more on the advertising efforts. Before going to start your testing you must have to clear about what type of results you’re expecting for. This is not so complicated because you already know the baseline result that is the result you’re getting presently. If you want to test both the options against each other you can decide which one is better in the testing and carry out the task. This is better than the current test results. Otherwise, you can use A as your primary control by leaving it what you are using currently and then use somewhat new for B. This does not mean that you must have to test everything on your site. You can test only the contents you want to test on a page. The reason for providing more concern on page elements is these elements have a greater impact on conversion rates. This is the reason for testing page elements first. That is the page elements are the ones that provide higher conversion rates for your site. A/B testing helps a site owner to improve the bottom line of the site. Once you have conducted tests and data, you can figure out easily that which marketing strategy will suits best according to your product. By using A/B testing, one can easily build decisions through effective marketing materials. One must have to keep this testing as a regular up-gradation from improving the site conversion rates. How to perform A/B testing on your WordPress site? This is the initial step in A/B testing a WordPress site. In this step, you have to select the web page that you need to apply for A/B testing and aware of all the parts which you want to test. Through this, one can prepare their desired strategies. This is the important step in A/B testing that is creating variations for the site. This is done to start with the A/B testing experiments. One best practice is to make two variations of your site before testing. For example, one variation is A, and the other variation is B. In this variation A is the original web page of the site without any changes in the testing element. And, variation B is the web page that contains the implemented changes. Once the variations are created, you have to run your a/B testing for the specific allotted time. This is the final step in A/B testing process. Then present your two variations for your site’s visitors for conversion rates. The conversion rates are calculated as per the scheduled time period. Once the conversion rates are calculated the page will be decided. While doing this you should have to choose the correct selection for your testing experiments. Then you can compare the results and select the page with higher conversion rates. After selecting the page, you can do any kind of modifications on your site without any strain. A/B testing thus helps you to find the best marketing strategies for your site and helps you to improve your site conversion rates. These plugins will help you in displaying all the variations and record them accordingly. It greatly generates all the reports on your WordPress dashboard. The benefits of using these plugins are that your data stay on your site and enables the entry of all kind of third party servers which makes your site’s performance slow. The particular plugin is connected with the third-party service to manage all the tests. It allows only those users who are registered to see the website content and also handles the analysis and reporting. Optimizely enables users to create different variations of their site. Though this tool, a user has given the access to the dashboard from which you can manage both the webpage variations and course of the experiment. Using Unbounce, you will find out the amazing drag and drop page builder that make you test all the web pages that you have designed. With the help of Visual Website Optimizer, one can easily optimize the websites without any developer help. This will really deliver you the most effective A/B testing experiment. AB Press Optimizer will directly enter into your admin panel and test your website with the help of A/b testing tool. Title Experiments integrates directly with your wordpress post editor and also help you in creating multiple titles for your content. Simple Page Tester is also one of the powerful testing tools which are very easy to set up. With the help of this plugin, one can monitor all ongoing tests in a single location. If you want to work on simple A/B testing plugin, Nelio A/B Testing is considered the best one for testing. It is right one platform that allows you to test anything related to your products, widgets, themes and menus. Kissmetrics is the testing tool which provides you with all the tools that you need conversion rate optimization. One can customize every part of your website. In order to test the conversion rates of calls to action, WordPress Calls to Action is the right one for you. this tool allows you the multiple split tests. Still, A/B testing is simple to perform; you must need some practical things to keep in your mind. – Always test both the versions simultaneously and always split traffic between your two versions. – If you are doing testing of some core part of your website. Always try to include the only the new versions of the test. – It’s better to avoid regular visitors because sometimes variations may not implement. – Always try to do testing manually. Reasons that why your business need A/B testing? – It makes helpful for the marketers to easily learn about all the current designs, strategies and plan of actions to get the better outcomes. With the help of proven schemes, there are higher probabilities of success that redirect you near the desired outcomes. – It also offers you the right strategy that you need for your business and keeps you ahead of your competitors. After knowing all the above content, any beginner can start an implementation process on any kind of WordPress site with the help of A/B testing tool. It is the best practice for your WordPress site. This will really help you in demonstrating the confirmed aims and prepare your online business for high growth with these appropriate tests and results.